I stumbled upon this notebook while I was rambling in D&R bookstore (it has a stationery department). It was black, it was simple so I wanted to give it a try. I preferred the small size, since I was not sure about the quality. Let’s have a look! 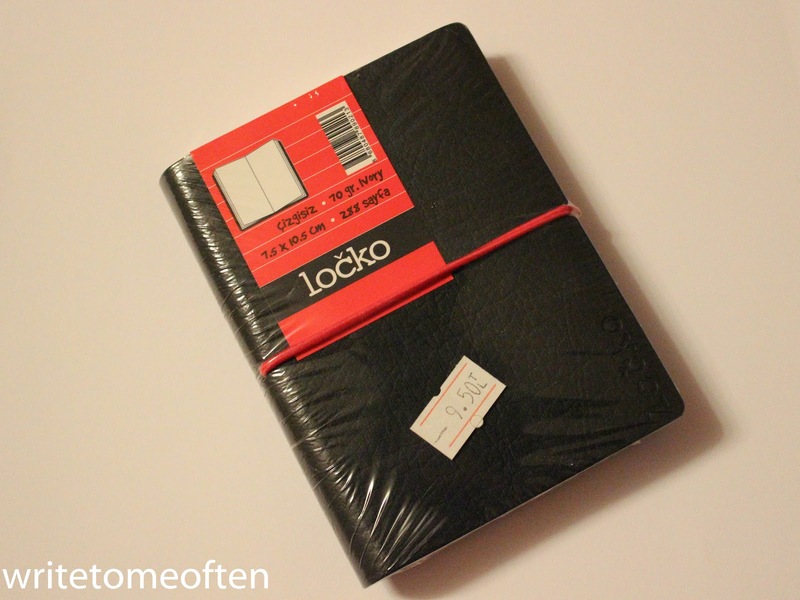 Locko notebook has black and leather-looking cover. Nothing indicated about using the real leather on the cover, so I will assume it is not a genuine leather. Actually I don’t care if it is leather or not. It has a red elastic binder which makes notebook looking better. I liked it. 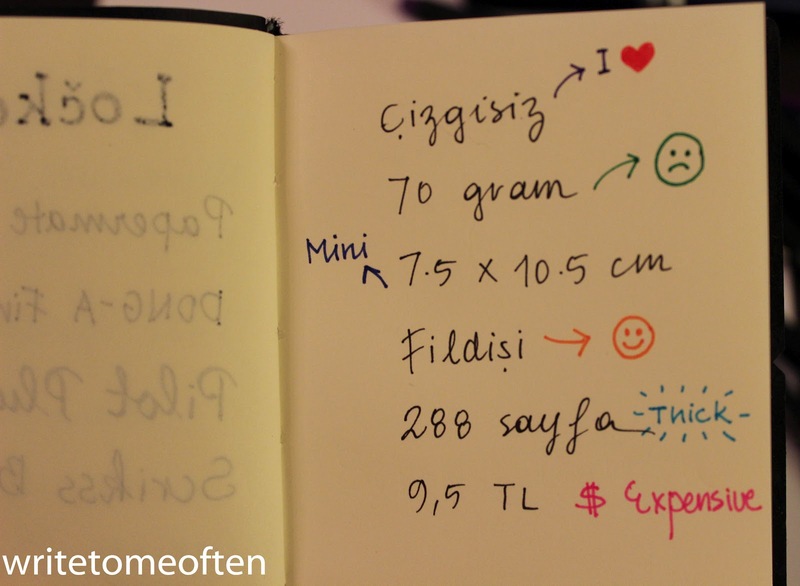 Besides, if you tend to shove papers, notes, business cards into the notebook, it is also very useful. As you may noticed, it comes with a small black pencil that you can fit between the notebook and binder. 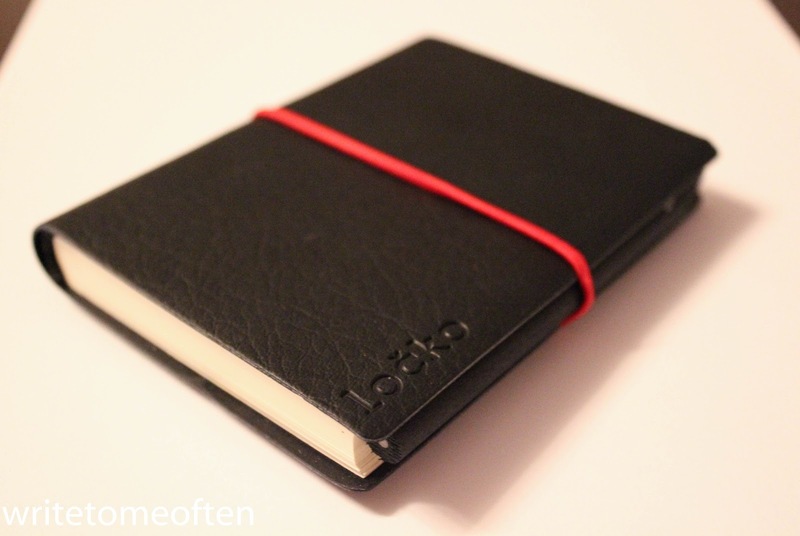 I think also embossed Locko brand on the cover, also looks elegant. But what about the paper? 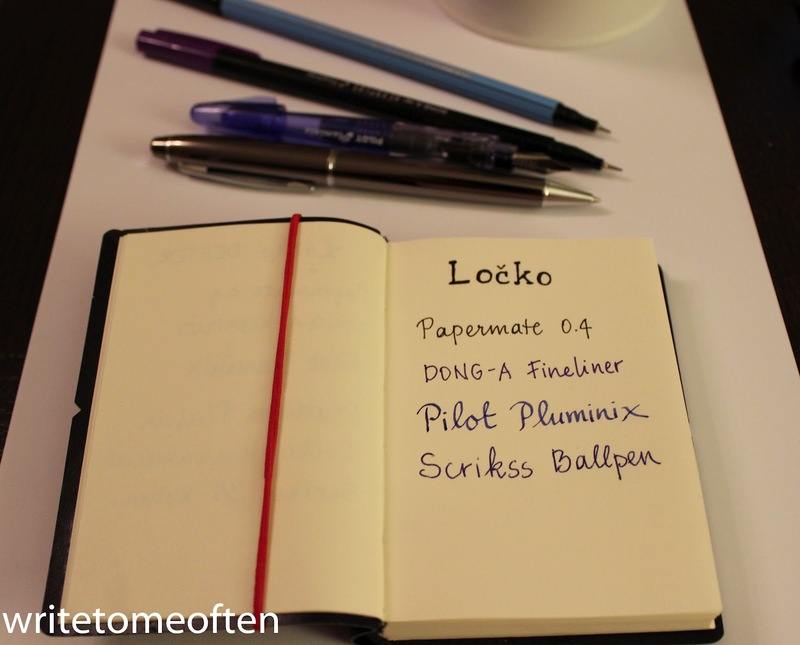 Since the paper is 70 gram weight, I did not push it so hard and tried with Papermate, Dong-a Fineliner, Pilot Pluminix Fountain pen (not a wet writer) and Scrikss Ballpen. 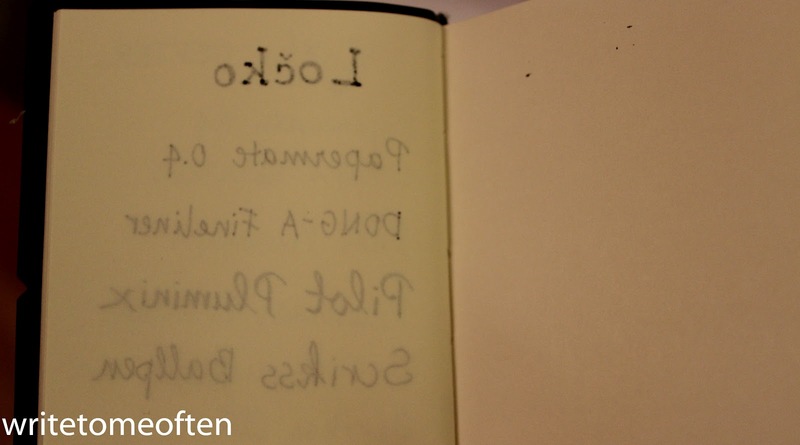 Where I wrote Locko has a severe bleedthrough, you can even see the spots on the other page. But it is not fair to consider this, because I wrote it with Papermate, and draw the lines very thick, very slowly letting the paper to blot the ink. However, paper is also very disappointing on other pens. Especially I was hoping NOT to see any show through with ballpen. I preferred unlined one but there are ruled and squared ones so you may prefer them as well. There are also size options available. Paper is ivory. I know some people like it, for example me, because I think it goes great with fall colors like sepia, burgundy, dark green etc. But I know some people don’t like it. It is a matter of choice at the end. Paper is not performing well and it is a bit expensive I guess. Especially when compared to other Turkish brands on the market like Notelook, The Container etc. But it can be a good notebook for everyday use, if you don’t use wet pens and if you don’t care about skipping pages. By the way, I tried to make an online search about the brand, it has a website www.locko.web.tr however, no information available about the company except address and phone number.